The Rocky Mountain Region has a strong network of professionals supporting employee owned businesses. While not fully comprehensive, RMEOC would like to recognize our members who are helping advance employee-ownership. Zick Business Advisors’ objective is to always provide close, personal attention to the tax related, valuation, business exit planning and estate planning needs of their clients. Their team includes credentialed business valuation professionals who are experts in the use of Employee Stock Ownership Plans (ESOPs) as a business continuation and exit planning vehicle. Zick also works with companies looking to implement other equity sharing vehicles as employee benefits and to incentivize key personnel. Zick’s professionals strive to ensure that all business valuations are fully compliant with the constantly evolving professional standards for business valuation work. Greg Weiss, MBA, CPA/CFF, CVA. Whether a plaintiff or a defendant, you need someone who can tell the money side of the story. That’s us. 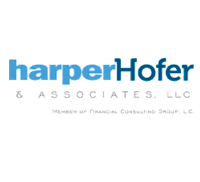 We’re Harper Hofer & Associates, LLC, a very different kind of CPA firm based in Denver. Our focus is litigation, business valuation, marital dissolutions, and taxing situations. Yet, what we truly specialize in is a professional yet personal approach to every situation. No client is ever just a number here. It’s an approach that is as satisfying to us as it is to our clients. Jason is the Principal at Jason Wiener|p.c.., a boutique law and business consulting practice providing expertise to social enterprises and mission-driven business models of all sizes and in all phases. The firm’s specialty is in sharing economy law, social and regenerative enterprise, public benefit corporations, employee-ownership and cooperatives. Jason has been chief architect and has incorporated several social enterprises and cooperatives and has advised numerous clients through socially responsible recapitalizations and conversions to cooperatively owned business models. Hawkins Parnell Thackston & Young LLP is a national law firm with 150 attorneys in 10 offices located in Atlanta, Austin, Charleston, Chicago, Dallas, Los Angeles, Napa, New York, St. Louis, and San Francisco. As national leaders in their fields of expertise, the ESOP, Employee Benefits, M&A, Tax & ERISA group brings extraordinary depth in perspective when advising clients in connection with retirement plans, equity incentives, executive compensation, shareholder issues, fiduciaries, mergers and acquisitions, and employment and benefits litigation throughout the country. While trial success has always been a hallmark of the firm, their attorneys are well equipped to serve their clients’ interests to the best result possible. With decades of experience, they leverage their vast volume of industry knowledge to tailor and execute the most well-informed strategies for each client. Holland & Knight is a global law firm with more than 1,300 lawyers and other professionals in 28 offices throughout the world. We have one of the top employee stock ownership plan (ESOP) practices in the United States. Whether you are a small, midsized or large company, a business owner, a plan fiduciary or a lender, our attorneys are dedicated to ensuring that your interests are met at every stage of the ESOP cycle. Our interdisciplinary practice groups and industry-based teams can provide you with access to attorneys throughout the firm, regardless of location and provide counsel on estate planning, federal taxation, employee benefits, corporate finance, securities regulation and lending. More information on our ESOP practice can be found here. Linda Phillips offers high quality, timely and personal legal services for business and cooperative clients. Known for finding practical and innovative solutions for business’s legal issues, Linda specializes in helping small businesses and cooperatives with all their legal needs. Because she is well versed in business and cooperative law, Linda is sure to know exactly what it takes to help you in all your business endeavors. Linda Phillips is dedicated to taking care of all of her clients, and ensuring that client legal needs are satisfactorily met. The firm specializes in all types of cooperatives, including worker coops, as well as producer, marketing and consumer cooperatives. Sherman & Howard L.L.C. is one of the most established and successful law firms in the Rocky Mountain region. The firm’s 175 attorneys work with businesses and public institutions on most aspects of law from 11 offices in Colorado, Arizona, Nevada, New Mexico, Georgia and Missouri. Sherman & Howard’s employee benefits attorneys provide comprehensive advice to clients in structuring and administering all types of employee benefit plans. They assist companies with the design and implementation of defined benefit and defined contribution, employee stock ownership, nonqualified deferred compensation, welfare benefit and severance plans, and all types of incentive arrangements. We strive to provide practical advice on the design and administration of benefit programs while ensuring plans are in compliance with the technical legal requirements. PLG Consultants Inc (PLG) is a business consulting organization with special emphasis in the areas of using QuickBooks® in a various company environments and CEO Coaching that allows an organization to place emphasis on strategic planning based on the need to generate revenue and control costs. PLG has been setting-up, cleaning-up and teaching QuickBooks® for over 10 years. PLG uses a lot of today’s top technologies to give their clients the best training experience. 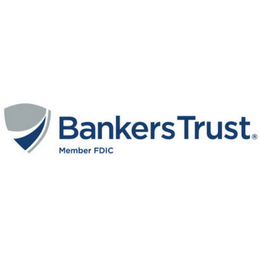 Bankers Trust Company is one of the largest privately held banks in the Upper-Midwest. The ESOP group at Bankers Trust approaches each new relationship with the assumption that we will be partners for years to come. We leverage our knowledge of ESOPs to provide customers with cash flow planning, repurchase-liability planning, as well as acquisition and expansion strategy. Our team focuses on senior debt transactions that are $2 million and above. If you are thinking about transitioning your company to an ESOP, please give us a call. We will work with you to understand your business and its needs and connect you with our network of advisors, lawyers, accountants, valuation firms and trustees who can help determine the best route for you and your business. 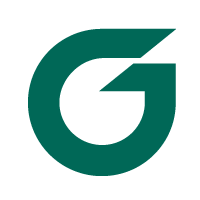 A Colorado bank for over 60 years, Guaranty Bank and Trust is committed to providing you with high quality, relationship-based banking services delivered through a team of local banking professionals. Built on a foundation of core business values and an unwavering commitment to Colorado residents, our bankers are here to help you achieve your financial goals. Come experience what sets Guaranty Bank apart from the rest.